As many Zortrax clients have discovered, this 3D printing company deletes any complaining comments written in their Official Blog. That is the main reason why we have created this WEB. For a company who's slogan is "Enter an environment of professional 3D printing" they have a lame quality standard & much worse technical support. At first, you will receive canned responses for everything but when those responses don't work they deny any responsibility and basically "send you to hell". After lot's of emails talking about temperature & humidity conditions for a correct 3D printing -in which we were in the correct parameters- & testing different filament materials that they also recommend for better printing, we asked them to try to print the piece we weren't able to print and to our surprise, they were unable to print it as well (this time alleging software problems). As a logical procedure we decided to return the printer asking them for a refund because is was not suitable for our prototyping. We're not going to post here every email of our problems with Zortrax because there are a lot of them, but below you can see some of the emails (first and last ones) that we've exchanged with Zortrax, specifically with Mr. Marcin Luczynski, responsible of Zortrax support. As you will see in the following emails they STOP TAKING RESPONSIBILITY just 2 MONTHS AFTER WE RECEIVED THE 3D PRINTER, OFFERING us a 50% REFUND. This is a specially WRONG POLICY taking into account that they are a EUROPEAN COMPANY based in Poland and they SHOULD GIVE at last -BY EUROPEAN LAW- A 2 YEAR WARRANTY (not 2 weeks as they said in their last email). SO, DON'T BUY A ZORTRAX 3D PRINTER!! DON'T MAKE THE SAME MISTAKE THAT WE HAVE MADE!! My name is XXXX & i'm the CEO of XXXX. Our company makes injection molding XXXX in high quality polymeric materials & we thought that we could rely on your M200 3D Printer to make prototypes of our products. With date 25-2-2015 we bought a Zortrax M200 3D Printer, Serial Nº XXXX & Order ID-XXXX. We also bought two Z-ABS filaments to start prototyping. 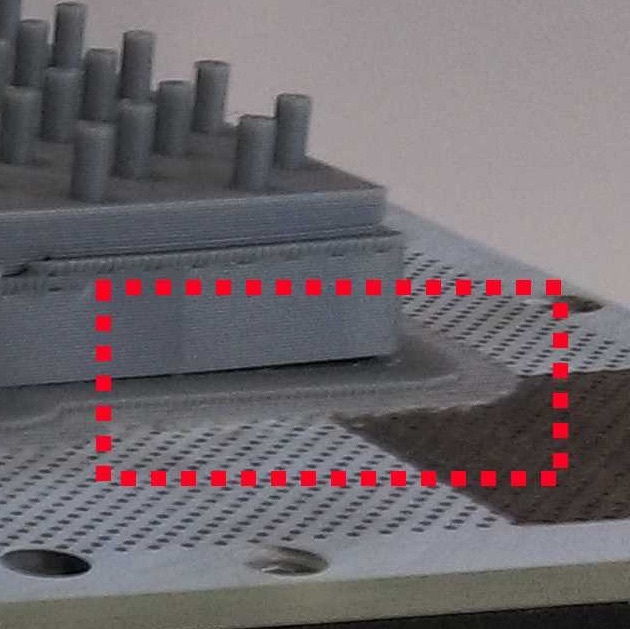 After some rough (low quality) printings to try the machine, we decided to print a prototype for a new product (this time in high quality) and we've found some weird problems that we hope you can guide us to solve. First of all, when we printed the first part of the prototype we noticed that it sometimes burned the ABS leaving burnt parts in the print. Then, both sides of the printing started to bend upwards, making the 3D Printer fail in doing the prints correctly (see attached picture). After that, we tried to print again & we start hearing some cracking/friction noises coming from the rail. ¿Could it be a bearings fault? If those problems wasn't enough, we've also found that when we measure each part of the prototype with a caliber no measure is correct, having differences of up to 0.5mm. in size with the CAD drawing that we used to print the prototype. Please help us solving this problems, otherwise we must return the printer because is not usable for prototyping our product. At the beginning I would like to ask you to send us a *.stl and *.zcode file and record a video of that cracking noise during printing, if that possible of course. 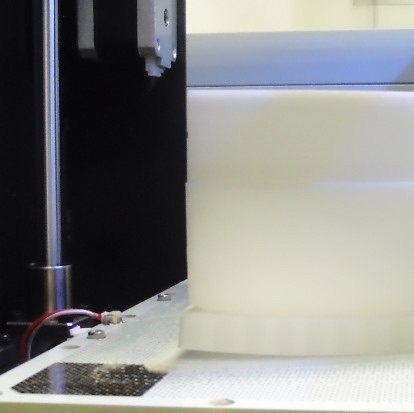 The reason of that delamination of your print is mainly unstable/too low temperature. Make sure that you are printing in a room without droughts and any air movements. 2) If that possible, try to print with small infill. The day 15/05/19 we sent to you the file to print. Please, I would like you to print it and send to us some pictures with the results. Printing started minute ago, expect results tomorrow. Do you have any result? I had to print it one more time, you can find few pictures below. I've used Z-Hips and Side covers but still in some parts, models is coming off the raft (marked red). I've passed that to 3D Specialists and I've been told that they are working on it, should be fixed in one on future updates, since it software related problem. Regarding the mails and tests you have exchanged with my colleague of the technical dpt. XXXX, we have reached the conclusion that the printer is not suitable for our purpose. You say in your mail that your specialists are working on this matter and they don't have a solution yet, so as you can't confirm any date to solve the problem, and we can't print the pieces with the quality and precision we require, we would like to return the machine back and ask you for the refunding of the money. We hope you will understand our decision because the machine doesn't comply with our requirements due to the fact that its development is not finished yet. We would appreciate your answer as soon as possible in order to inform us how we must proceed in the returning. I'm sorry for long response time. I'm very disappointed of your decision but on the other hand it's fully understandable and reasonable. To make a refund, please fill our Support Form. After contacting sales department, according to our terms, it's not possible to receive a full (100%) refund for printer that has been used for more or less 3 months. What I can offer you is partial (50%) refund. Other options is to be patient, because since I've shown your printer model to our 3D specialists, they keep working on it. I willing to send you a pack of Z-Ultrat(or whatever suits you) to make some test in meantime (Slice it, turn it etc). It's up to You now. I am sorry but I believe you have gravely misunderstood the situation. XXXX is not an isolated customer, we are a company that represents more than 60 years of experience in the industry and that sells its products to more than 50 countries worldwide. Our network within the industry is vast and this encounter does not bode well for future recommendations. Your response is EXTREMELY off putting as we have made it clear your product does NOT work. "More or less 3 months" is a completely unprofessional response that not only represents you and your company in a poor light but does not meet a minimum quality standard and does not comply with the obligatory 2 year warranty that the European Union requires all UE companies to fulfill (not even 1 year alone). If you would like we could contact the European Consumer Organization and inform them that Zortax is not only selling a sup par product but cheating their customers with poor service which does not conform to the standard. Your 3D printing technology is not ready for the professional use that was advertised to us (which has been clear throughout our exchange) and we are rightfully unwilling to wait for you to fix and correct your product. We have been MORE than compliant throughout this process and the end result has remained the same. We expect a full refund for your product that simply does not work. In your words, "It's up to you now" to correct the issue. With all due respect, threaten me (us) won't resolve issue and it's not acceptable. You simply cannot expect getting full refund after 3 month of using our printer. I've used a term 'more or less', because it's doesn't really matter if it's 2 or 3 months, since full refund could be done before expiry of two weeks. Because of the fact, that we are not exactly sure when software related issue will be solved, I've tried to meet you half way and offer You a partial refund which wasn't an option for you. To summarize - we cannot bend and the options remain the same.